It’s been many years in the making with Lisa Schwanz and Vaughn Stenhouse, but finally our utterly massive meta-analysis on the role of incubation temperatures on phenotypic variability and survival is finally out in Biological Reviews! We collated effect sizes from 92 different species across all major reptile orders taken from 175 different studies that manipulated incubation temperatures! Extracting all these data was no small task, but has lead to some important insights that have implications for our understanding of how climate change will affect reptiles and the role of early thermal environments more generally on developmental plasticity in reptiles. There are lots of new stuff in the paper but a pretty graph (only one so as not to spoil anything) and the major conclusions are summarised below! (1) The magnitude of the phenotypic effect of incubation temperature is moderate to large across orders, trait categories and ages. There is no evidence that this effect is substantially larger in any single order of reptiles, although data are sparse for Rhynchocephalia (a species-poor order) and Crocodilia. (2) Effects of incubation temperature can persist for many months post-hatching. Sampling is poor for ages >1 year, thus more data would be useful in increasing our confidence in the persistence of effects. (3) The effect of temperature on incubation duration is much stronger than on any other trait category. Survival also stands out with particularly strong effect sizes, while the relative strength of other trait categories varies in ways that compels more detailed comparison of reaction norms. 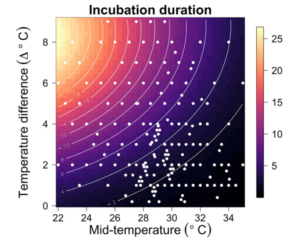 (4) Temperature fluctuations in the incubation environment potentially decrease the phenotypic effect of different mean temperatures, particularly when the temperature differences between treatments are large (although not significantly). More data are needed from fluctuating temperature regimes to assess more rigorously whether this tendency is real, and to quantify the impact of increasing fluctuation. (5) On average, increased temperature changes lead to greater phenotypic effects. Despite expectations that the exact impact of warming incubation temperatures will depend on the trait studied and the shape of the reaction norm, we can say that, on average, nest temperatures that increase by 4°C would have a greater impact on nearly all phenotypes than would an increase of 2°C. (6) The effect of increased incubation temperature depends on the temperatures experienced (mid-temperature), and this dependence varies according to trait type. Survival, morphology and performance were affected more strongly at extreme temperatures compared to intermediate temperatures indicating that increasingly warmer nest temperatures will accelerate change in these traits. Thus, collecting phenotypic data from extreme incubation temperatures is important. 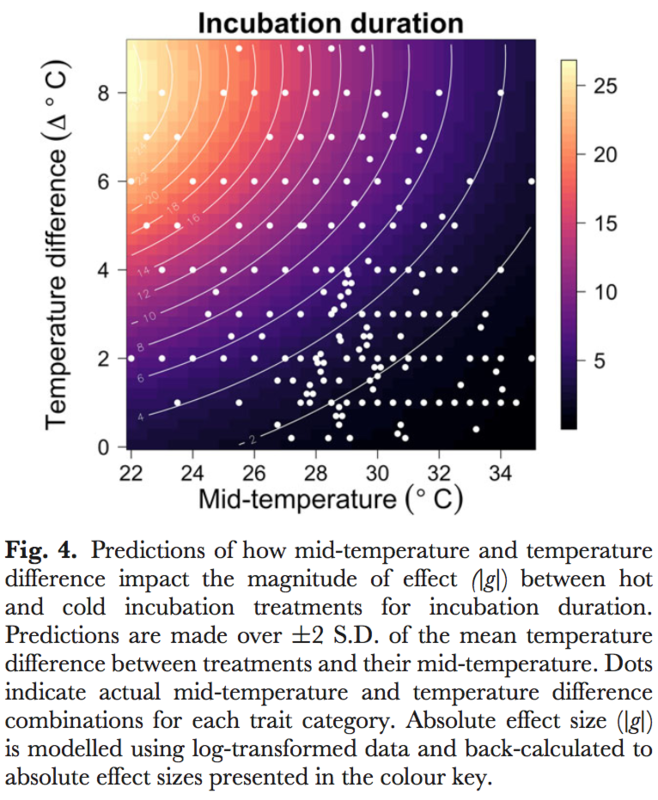 Figure 1 – An example of how the average temperatures of pairwise treatments and their temperature difference impact the magnitude of effect for incubation duration. (7) Substantial variation in the magnitude and direction of the phenotypic effects of incubation temperature remain unexplained. Future research should quantify the shape of the reaction norm to explore interspecific variation along with how parental and/or ecological effects might mediate responses. If you want to find out more have a read of the paper! Animals often find themselves in direct competition with other individuals for resources and mates. Because fighting is costly, many species honestly signal their fighting ability to avoid injury (non-escalated fights). For example, in flat lizards (Platysaurus broadleyi), males can resolve dominance status by displaying their UV-reflective throats to their opponent. However, when opponents can’t resolve conflict through these displays, interactions often escalate to physical fighting which can be quite costly to both parties (escalated fights). Many attributes of an individual can influence its chance of winning a fight. Studies have shown that body dimensions, athletic ability, and weapon size are all key predictors of contest outcome. What is not clear though, is the role of prior contest experience. Prior contest experience can give rise to “winner-loser effects” where winners tend to keep winning subsequent bouts and similarly, losers tend to keep losing. For a long time, prior contest experience was assumed to be the direct cause for winner-loser effects and the underlying behavioural mechanisms are often neglected. So, we wanted to know how exactly contest experience influences an animal’s behaviour? 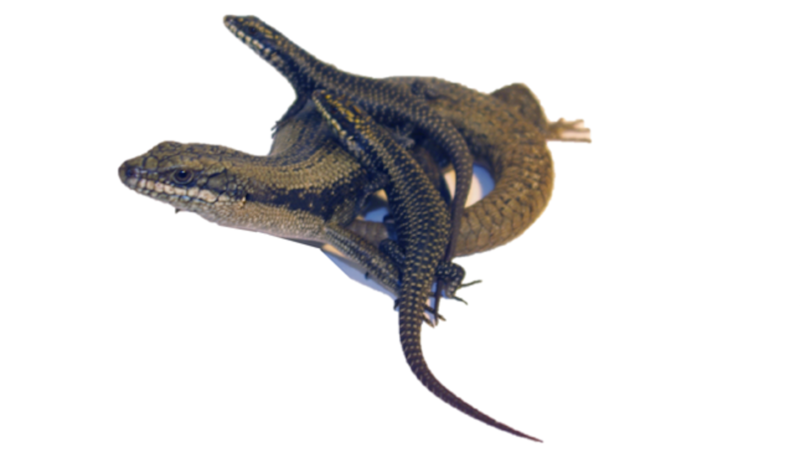 Our recent paper published in Behavioral Ecology and Sociobiology explored the effects of prior contest experience (whether you won or lost your previous fight) on fighting behaviour and how this may influence future contest success in Eastern Water Skinks. We hypothesised that the effects of contest experience should act on an individual’s behaviour directly, in order to influence contest outcome. We specifically predicted that the effects of experience on behaviour should depend on how intense the fight is because different fighting behaviours are used at different stages of a contest. We staged contests between pairs of size-matched males and recorded 1) which individual initiated the interaction; 2) whether the fight escalated to physical biting; 3) if so, how many times did the contestants bit his rival; and, 4) the winner. Interestingly, we found that contest initiation was the best predictor of contest outcome in non-escalated contests. 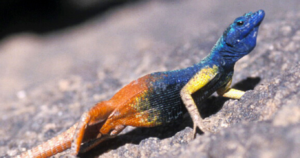 Lizards that initiated contests also tended to win that fight. And prior winners also tended to initiate the subsequent fight! 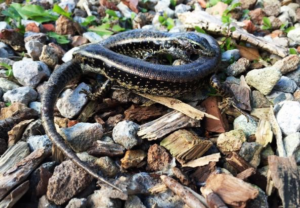 Contrary to what we predicted, the total number of times a lizard bite his rival was not an important predictor of contest outcome in escalated contests. Biting behaviour was not influenced by prior contest experience either! Instead, body mass differences between the contestants seemed to be more informative: heavier males had an upper hand in escalated contests. What these results suggest is that the effects of contest experience on fighting behaviour depends on how a contest escalates. The effects of experience seem to act most strongly when the contest is non-escalated, which implies that prior contest experiences may alter an individual’s perception of its own fighting ability. Prior winners may feel better about their ability and thus are more motivated to engage first in the next aggressive interaction and this is likely very intimidating to a rival!